The biggest variation in the type of elevator is in the shape and size of the blade. The three basic types of elevators are (1) the straight or gouge type; (2) the triangle,or pennant-shape type and (3) the pick type. The straight or gouge type elevator is the most commonly used elevator to luxate teeth (Fig. 6-37, A). 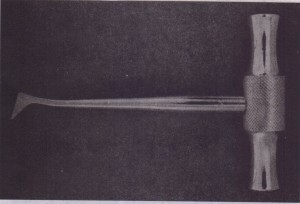 The blade of the straight elevator has a concave surface on one side so that it can be used in the same fashion as-a shoehorn (Fig. 6-37, B and C). The.small straight elevator, no. 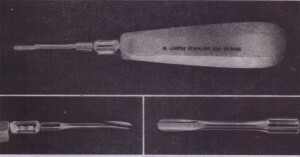 301, is frequently used for beginning the luxation of an erupted tooth,before application of the forceps (Fig. 6-38). The larger straight elevator is used to displace roots from their sockets and is also used to luxate teeth that are more widely spaced. The most commonly used large straight elevator is the no. 345, but the no. 46 and no. 77R are also occasionally used. 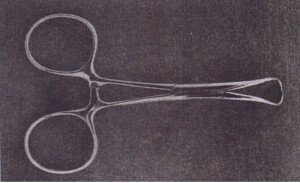 The shape of the blade of me straight elevator can be angled from the shank, allowing this instrument to be used in the more posterior aspects of the mouth. Two examples of the angled-shank elevator with a blade similar to the straight elevator are the Miller elevator and the Potts elevator. 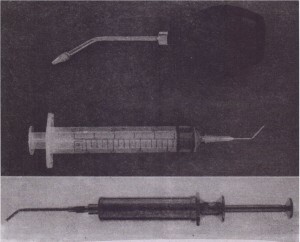 self-loaded syringe is spring-loaded to allow filling simply by releasing the plunger. The major components of an elevator are the handle, shank, and blade. The second most commonly used elevator is the triangular or pennant-shaped elevator (Fig. 6-39). These elevators are provided in pairs a left and a right. The triangle shaped elevator is most useful when a broken root remains in the tooth socket and the adjacent socket is empty. A typical example would be when a mandibular first molar is fractured, leaving the distal root in the socket but the mesial root removed with the crown. 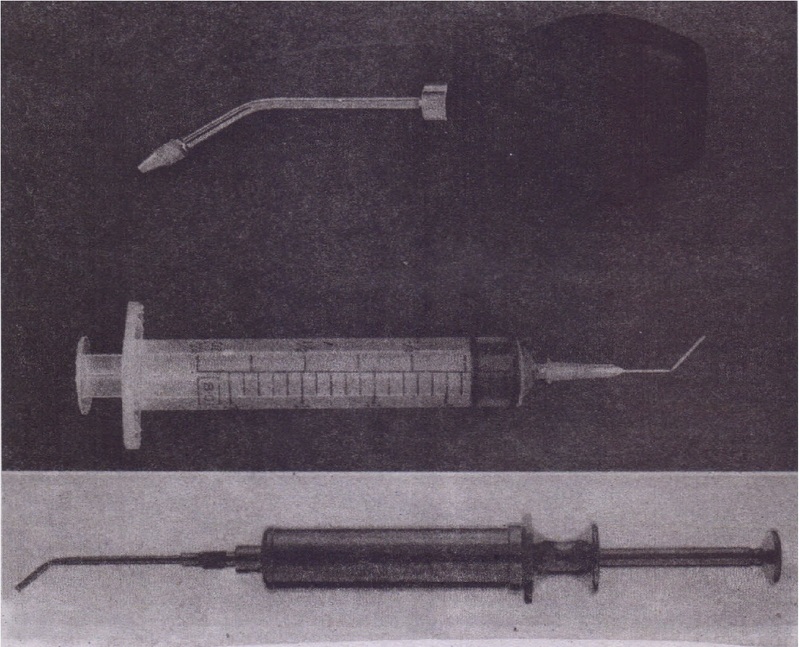 The tip of the triangle-shaped elevator is placed into the socket,with the shank of the elevator resting on the buccal plate of bone. It is then turned in a wheel-and-axle type of rotation, with the sharp tip of the elevator engaging the cementum of the remaining distal root the elevator is then turned and the root delivered. Triangle-shaped elevators come in a variety of types and angulatlons, but the Cryer is the most common type. amounts of force and therefore must be used with caution. The third type of elevator that is used with some frequency is the pick type elevator. This type of elevator is used to remove roots. 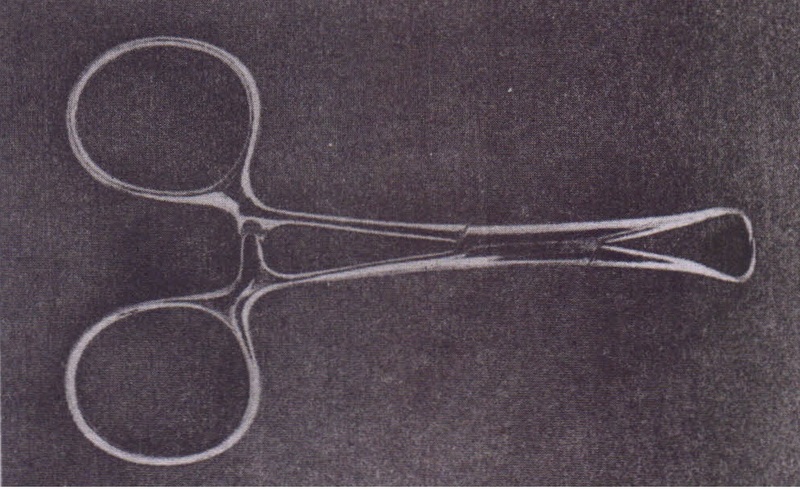 The heavy version of the pick is the Crane pick (Fig. 6-40). 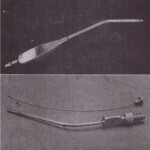 This instrument is used as a lever to elevate a broken root from the tooth socket. It is usually necessary to drill a hole with a bur, approximately 3 mm deep into the root. The tip of the pick is then inserted into the hole, and, with the buccal plate of bone as a fulcrum, the root is elevated from the tooth socket. Occasionally the sharp point can be used without preparing a purchase point by engaging the cementum of the tooth. 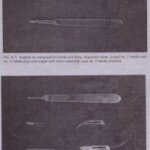 The second type of pick is the root tip pick, or apex elevator (Fig. 6-41). 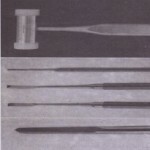 The root tip pick is a delicate instrument that is used to· tease small root tips from their sockets. It must be emphasized that this is a thin instrument and cannot be used as a wheel-arid-axle or lever type of elevator like the Cryer elevator or the Crane pick. 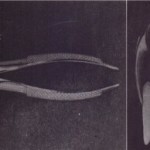 The root tip pick is used to tease the very small root end of a tooth.